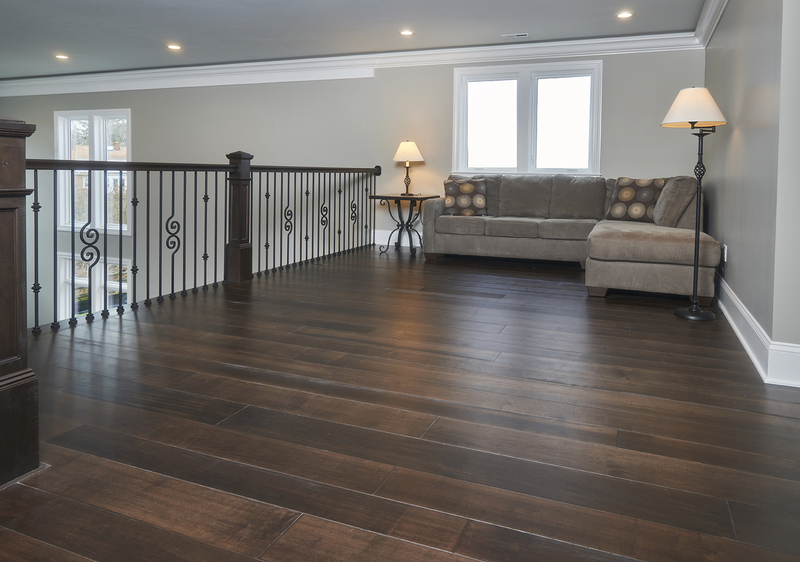 You will find this newly constructed transitional home in a quiet neighborhood in a suburb of Cleveland, OH. 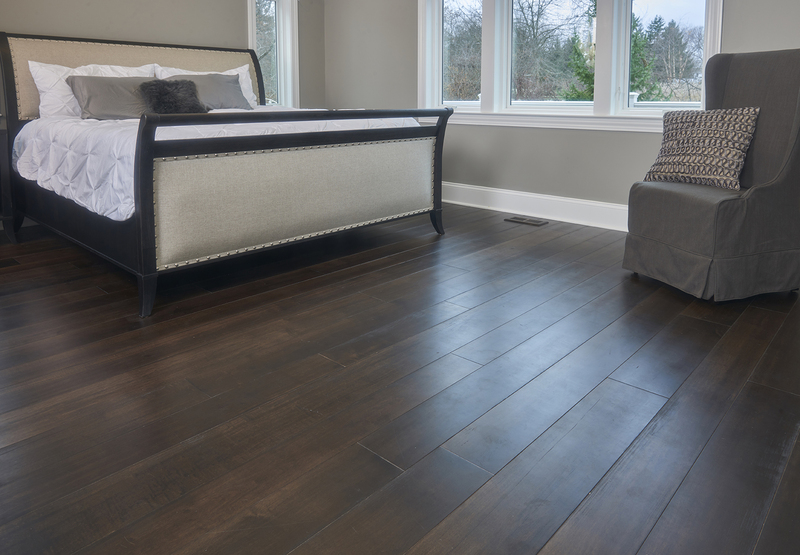 This client was looking for a dark, durable hardwood floor that would complement their lifestyle. 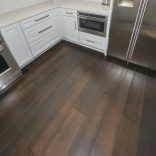 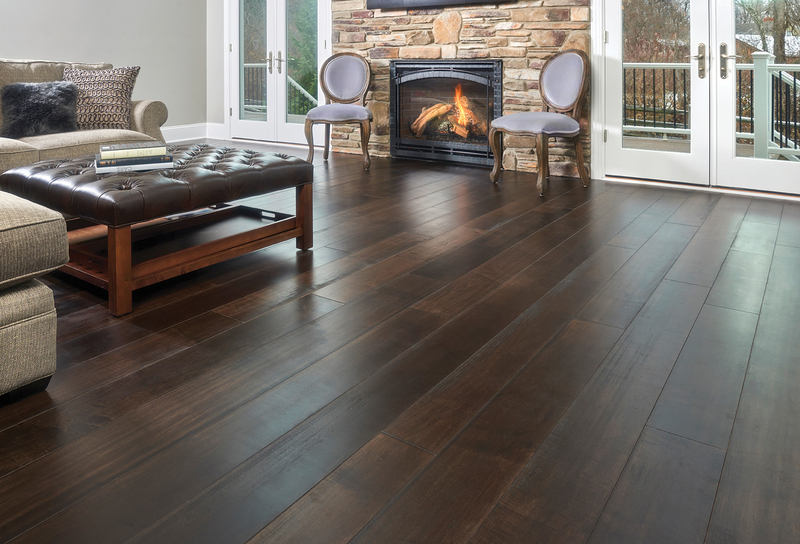 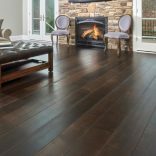 The custom flooring is mixed width 6-7-8” 1 Common Hard Maple that is lightly wire brushed and finished with a custom Dark Walnut stain underneath a durable conversion varnish top coat. 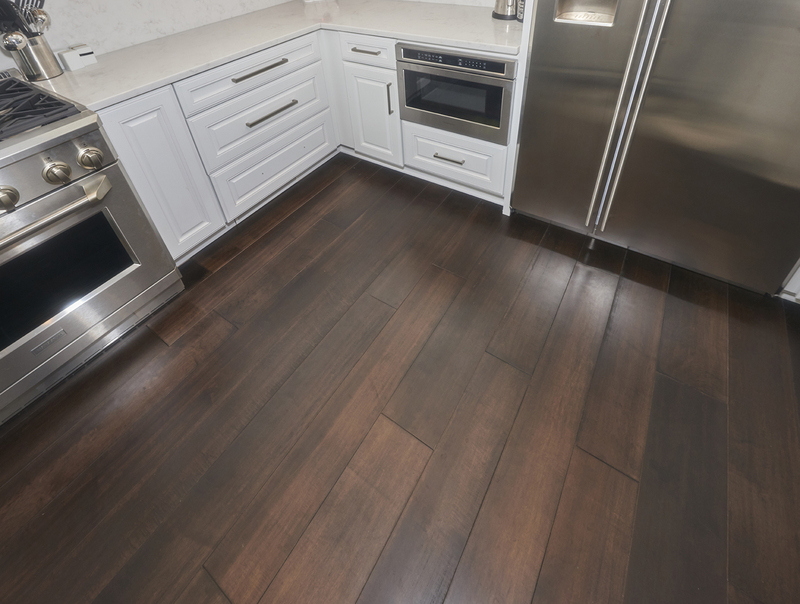 Hard Maple creates a sleek, clean look with its denser grain while also providing durability. 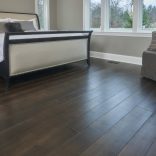 The darker stain balances out the light color scheme they have throughout their home making it a relaxing environment. 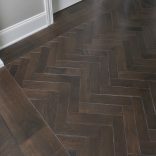 We are more than happy, the floors are beautiful. 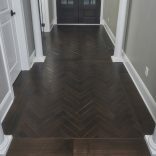 They had their installer construct a beautiful herringbone design in the front hallway to create a welcoming accent piece as you enter their home. 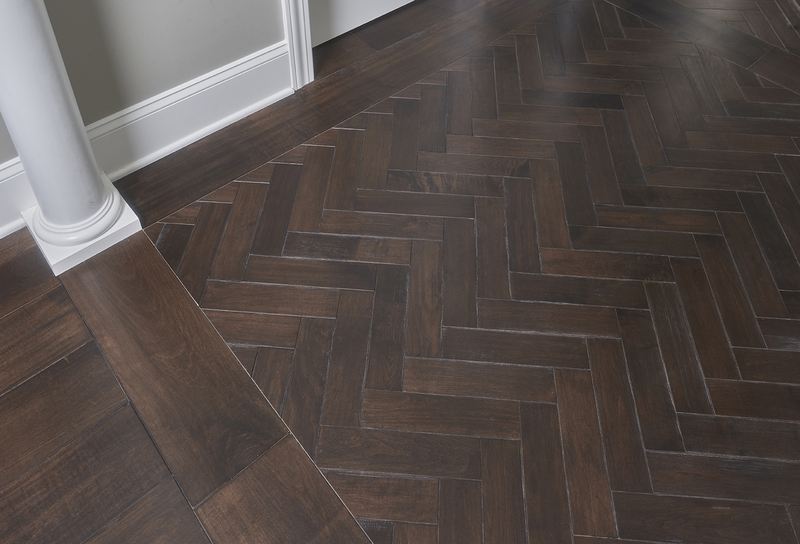 Herringbone gives chic modern appeal that can set the look apart from others. 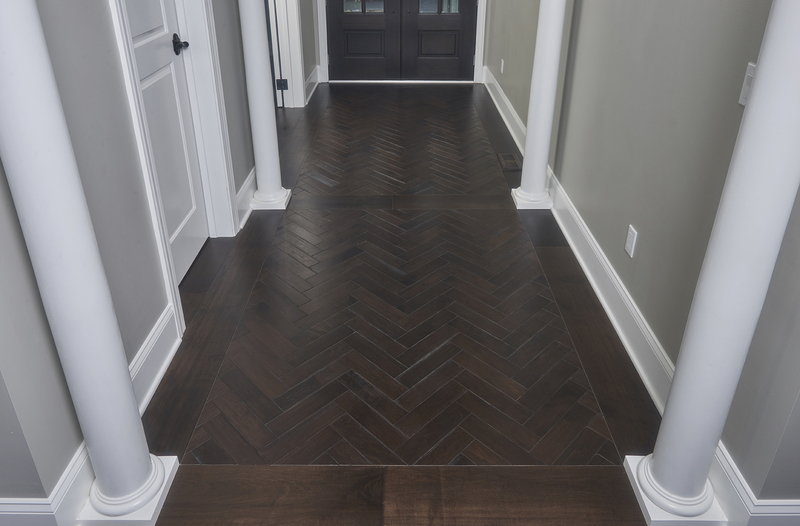 Here at Peachey® we provide the option of herringbone or chevron hardwood flooring to produce a timeless floor covering to any interior.